Nikon D90, Micro-Nikkor 105mm, f/16, 1/125, ISO 500. 88% of original frame. December 2017. Comments and critiques always welcome, and thanks for looking. Lovely play on light and shadow with a nice diagonal composition and sparkling snow. Simple and effective. 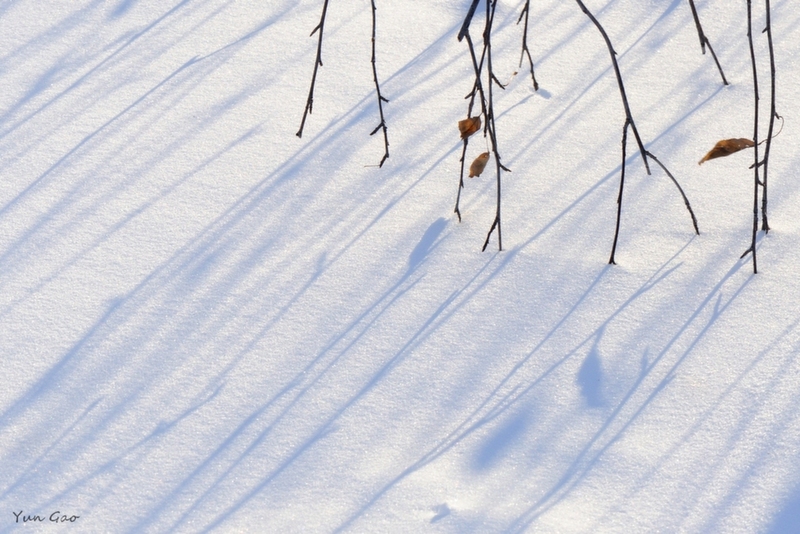 Fine composition, bright snow tones, and lovely lines from the shadows and branches. A lovely study in light and shadow! Well spotted, taken and presented. Nice light, well captured. I like the diagonal shadows leading to the stems. really nice...so representative of our Canadian winters!